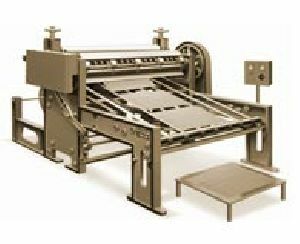 This machine is designed for high production and straight cutting of sheet or two ply corugated board without damaging flutes and linear paper. 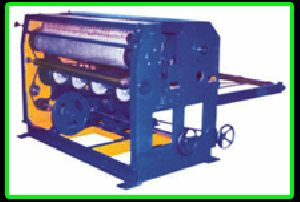 This machine can also be synchronized directly with corrugation machine. PIV chain gear box is provided for adjusting cutting length of sheet (18" to 100").Maximum Speed Is 250 Feet per Minute Apprx. Pipe Vice Open Type is old model as well as popular model in India. 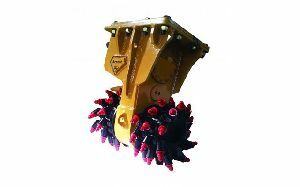 The Replaceable steel jaws are accurately machined, hardened and tempered . The handle and main screw are also of steel while the frames and bases are strong SG Iron Casting guaranteed unbreakable . We are trusted for quality and thus we follow stringent quality procedures to ensure that only defect-free range is delivered to the customers. Positioned amid the topmost providers, we are offering excellence in the form of products from Rudrapur(India). 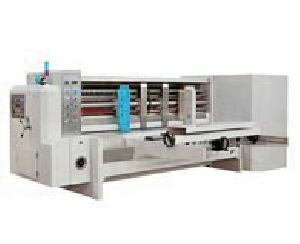 1: Chain feeder, side baffle fixed position, pneumatic locking, Relax, Alarm bell, Alarm light instruction counting, host motor speed adjusting control. 2: Electrical phase adjustment and digital display. 3: Rubber roller automatic velocity compensating 4: Rubber roller left and right movement adjusting is 20mm. With rubber cushion repairing device. 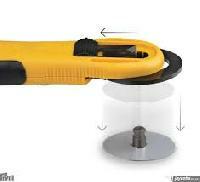 We are engaged in manufacturing and supplying of rotary board cutters. Used for Die-Cutting and Creasing Requisite attachment for solid and calliper boards Chain/Vacuum Paper Feeding System Automatic Transverse Movement High Precision Grinded Rotary Roller Efficient Heat Treatment System for Gears Installed with automatic repairing system for upper roller 360-degree rotational movement of grooving cutters.